This is a soft, beautiful time of year with the trees leafing out, still feathery, and the abundance of spring blooms. This rhody was condemned to death by one of my landscapers years ago as suffering from a borer. 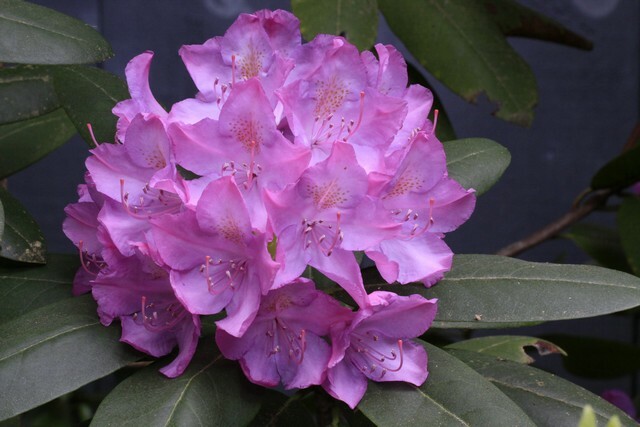 I refused to carry out the sentence and the rhody recovered and for many, many years it has been magnificent. 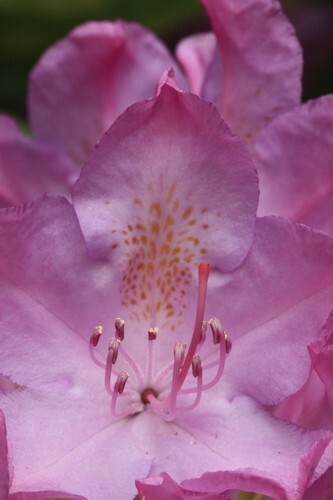 Here is a closeup of one of the flowers. 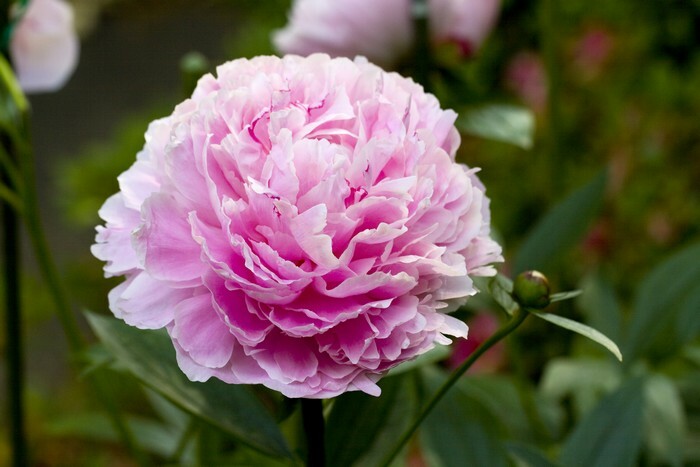 Here’s one of my peonies. 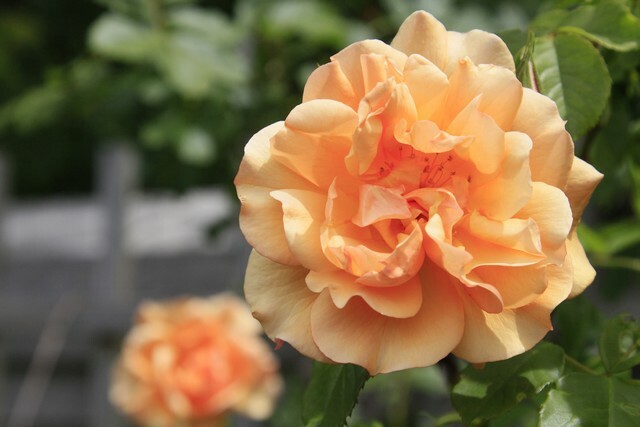 So beautiful and gently fragrant. I lost every bud last year to an unknown cause. Only a few buds this year but welcomed back. The clematis over Marty Lou’s arbor seems to struggle every year but it persists. This morning I had a real treat. I was invited to tour and photograph the gardens of Kathy, a fellow photographer. I was overwhelmed with this Longwood Gardens annex. 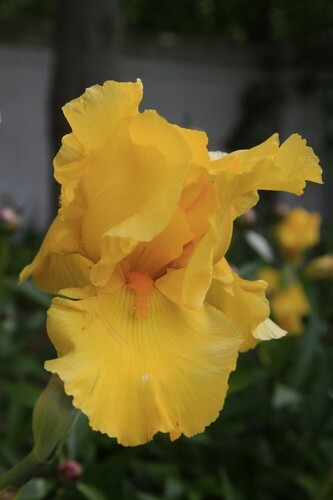 It was view after view after view of iris in all colors and all manner of blooms from stately bearded German to delicate Japanese. 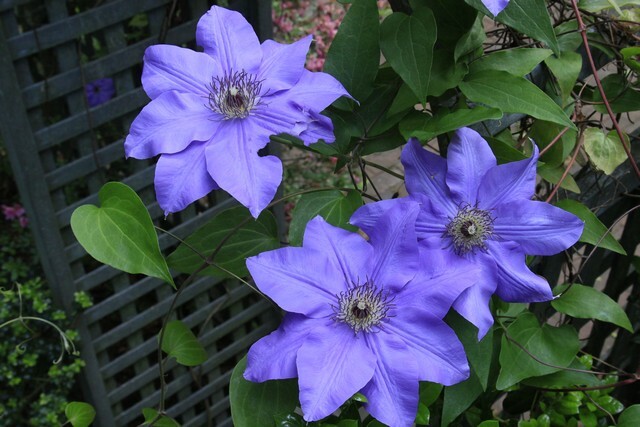 In between, several varieties of clematis on attractive garden trellises, and rosebushes beyond count. 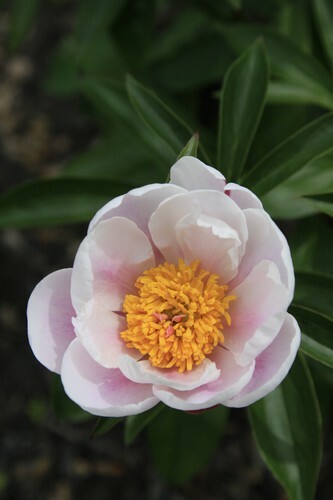 And the first peony, just unfolded. And, an honor: while we stood and chatted by Kathy’s hummingbird feeder not eighteen inches away from me, up came a hummingbird who hovered, looked at us, and then proceeded to have a sip. I felt honored. Great pictures Ralph. Thanks for coming.